Off-Axis Ring Lights provide a low angle plane of light which is useful for highlighting surface defects, illuminating specular surfaces, and side-lighting prominent target features. 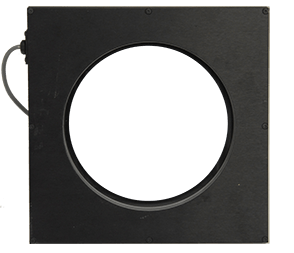 Dark field illumination provides high contrast lighting for detecting stress, defects, fingerprints, edges, dust etc. When the dark field light is placed above an object, intense light will appear at the edges and imperfections will be accentuated in a high-contrast manner.